Ek Villian actor Sidharth Malhotra turns 34 today, but he kicked-off the celebrations last night. Sidharth hosted a party for his Bollywood buddies and brought in his birthday with friends from the industry. 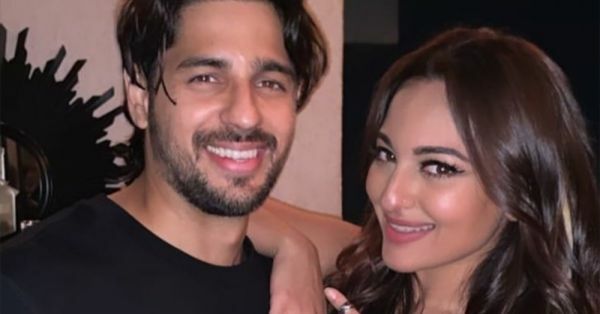 According to reports, the bash was more than a birthday party, it was also a housewarming party for Sidharth's friends. Bollywood biggies like Karan Johar, Sonakshi Sinha, Katrina Kaif and Karisma Kapoor showed up to celebrate with the Student of the Year actor. Pictures from Sidharth's party have been doing the rounds on the internet. In fact, guests who were in attendance also shared pictures and videos from the night to give fans a gist of what it's like to party with 'A Gentleman'. Gauri Khan, Mira Rajput, Kriti Sanon, Angad Bedi and Neha Dhupia were also present and looks like everyone had a lot of fun. Not just his friends, Sidharth Malhotra also came out of the house to celebrate his birthday with the paparazzi. However, we couldn't spot Alia Bhatt, which could be because she is busy promoting Gully Boy. Recently, when Bollywood biggies like Karan Johar, Ekta Kapoor and Rohit Shetty flew to see PM Modi along with a bunch of A-list actors, Alia Bhatt, Ranbir Kapoor and Sidharth Malhotra were in the same airplane and a source close to Sidharth revealed that the presence of his ex with her current boyfriend didn't bother the birthday boy. Happy birthday Sidharth, we wish you many, many more blockbusters!